For everyone living in the U.K., we’ve all been aware that the big day has been approaching for years (indeed some have been waiting for it for 300 years) whilst for everyone overseas, if you didn’t know there was going to be a referendum in Scotland on thursday then you will soon. As someone born just a few miles from the England-Scotland border and with as many Scottish relations as English relations, I thought I may as well alienate half of them by writing what I think about the situation. I think it is all total nonsense and to be blunt, so do all the Scottish relations I have spoken too. At a time when most countries are joining together, it seems crazy that some Scottish separatists are trying to break up probably the most successful union of all time. The vote on thursday is widely known as the Independence Referendum though in truth that word is emotionally charged. Scotland is an equal part of the United Kingdom. It cannot gain independence as the U.K. is already independent and has probably been the most successful nation in the last millennia, even more so for its relatively small size and population. Listening to Scottish Nationalist Party propaganda it would be easy to believe that Scotland is a hugely depressed place and that all their problems are due to being oppressed by those awful English. The fact of the matter is that both England and Scotland came into a voluntary union with the King of Scotland becoming the King of England as well. It was a union of two equal nations, an almost bankrupt Scotland with a king and a rich but leaderless England. (That actually sounds a little familiar today). The deep blue of the Union Flag indicate how integral Scotland is to the U.K. In recent days we have heard Scottish Nationalists compare their position to being in Apartheid South Africa which must be why so many British Prime Ministers have been Scottish… just like all those famous Black Presidents before Nelson Mandela. Tony Blair may sound English but he is Scottish. His successor Gordon Brown is very Scottish indeed and the current Prime Minister David Cameron if English born has a very Scottish surname. The nationalists have also been claiming that the NHS will soon be privatised or broken up which overlooks the facts that no-one has even thought of that or the fact the NHS as it is was a British invention and runs as well as it does due to the economy of scale that being in a country of 63 million people gives as opposed to just 5 million. The TV news has shown for weeks that No supporters have been harassed and berated wherever they have gone. A term often used for those opposing Scottish separation is that of Quisling which in fact originates from a Norwegian term for Nazi collaborators. Imagine such a hateful word being used against any other ethnic group than English or Scots who want to stay in the U.K. There would be outrage. People who have expressed an opinion that Scotland should vote no have been attacked on-line and their posters of support ripped off their own private property. Just a hint of the nasty part of nationalism the world over, something which the U.K. has always traditionally kept away from. My university professor told me in my first week in International Politics that if a region can leave a country voluntarily without a war then it is probably not the sort of country you’d want to leave anyway. It is those nations such as Russia and China that kill their own citizens because they want a better life that are the ones people should really want to leave. Personally I don’t know anyone who favours Scotland leaving the U.K. except for a few English who are fed up of having Scotland always moaning. Lots of other people seem to agree including President Obama, Hilary Clinton, the leaders of China, Australia and even The Pope. In any rational debate if such a broad range of people were all of the same opinion then you’d have to think they are onto something. Currently the only President supporting the break-up of the U.K. is that of North Korea which probably says a lot. I’d feel rather sad if Scotland did vote to leave as I don’t see any difference between England and Scotland. The culture, countryside, the language, the people are almost identical. To be declared a foreigner in 30% of my homeland isn’t something anyone would particularly be happy about. Of course there are big differences between the islands of Scotland and the middle of London but the remote parts of England have much more in common with the remote parts of Scotland than they do with London too. Likewise, the average person in a city like Glasgow probably has more in common with a city like Newcastle than they do with someone in the Scottish highlands. The real divide is between the poor and the rich, the haves and the have-nots, not a fictional racial difference based on artificial borders and thousands of years of petty wars and conflict. The whole campaign seems to be about creating divisions where really there aren’t any. King James who unified the two nations himself put it that it would be crazy to have two separate nations on this one island and anyone who thought differently must be stupid. After over 300 years of unification, this must surely be more true than ever before. In fact the border between England and Scotland has changed by hundreds of miles both north and south over the millennia, what it is now is just a quirk of history with many Scots descendants living in England and many patriotic Scots in Scotland actually living in what at various times has been not at all Scottish territory. It seems that with nearly 50% of the Scottish population on the brink of voting Yes that they are falling for some quasi emotional argument as there can be no sensible reason to leave the U.K. Scotland already has a devolved government with powers to remove the hated Bedroom tax that it has chosen not to do. Many recent years have seen funding of the NHS increase in England whilst the Scottish government declined to do so. Scotland like England and the rest of the U.K. has a wealth of natural resources but particularly oil. Separatists claim around 90% of the UK oil which is Scottish will finance their economy and make them a small but wealthy nation, this despite the fact that oil is forecast to run out in most oilfields in the North Sea by 2050 and even the present revenues have been going down in the last few years. A large number of small business have claimed they have been unable to support the No campaign due to behind the scenes pressure from the Scottish government and their being told that speaking out would mean they would never win any contracts again. This week many of the largest and most respectable supermarkets and chain stores have said that Independence would mean markedly higher prices for Scottish consumers. Oil experts have said the SNP claims on oil wealth are nonsensical and major banks have said they are all in the process of planning on moving their headquarters from Scotland to London and yet in every case the SNP leader Alex Salmond disputes there very respected opinions. Most of which to me with a slightly more than basic knowledge of economics seem to be very much common-sense. Much talk has been made of which currency Scotland will use if it becomes independent. Originally the separatists wanted to use the Euro but then that currency collapsed at the same time as Scottish banks did… in fact Scotland would have become bankrupt if it were independent just a few years ago. So now they want to use the British Pound but of course the government in London won’t let them do so with any say on economic policy. Why would any English government do so, certainly the 3 main parties agree they wouldn’t and it is doubtful that having put up with hateful abuse for years that English voters would want to help out Scotland in any way. 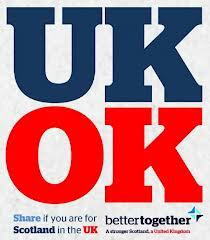 Alex Salmond still refuses to say what Plan B is when the U.K. refuses his request to be in a currency union. Not to fear say the Nationalists, the English will change their mind and if they don’t then they will use the Pound anyway like Panama uses the American Dollar. Obviously Panama is famous for its economic power in Wall Street! With all due respects to Panama, do you want to be Panama or the United States? Or in this case Scotland or the United Kingdom. There are huge gaps in the proposed incomes and social expenditures which the SNP proclaim. To most neutral people that study them, they just don’t make sense and are little more than lies and wishful thinking. There is nothing wrong at all with being an independent country and being poorer in almost every way but at least the nationalists should say this. The SNP say not to worry as they will almost immediately join the European Union, this despite the fact that many leading figures in the EU have said this is unlikely or even impossible given their entry would have to be approved by the other member nations including the U.K. and nations such as Spain with their own separatists which have already said they would veto such a move. Of course sometimes people in parts of Scotland end up with a government that is not their preferred choice, it’s called Democracy. Their are plenty in Scotland who didn’t vote for the SNP either but that is what they got. And yes, your population of 5 million is dwarfed by the other 58 million in the U.K. so sometimes you might not get what you want but then who does? If Scotland did become independent then inevitably those in the countryside and remote towns and villages would have grievances against the big cities of Edinburgh and Glasgow. I bet somewhere like Nebraska doesn’t have as much power as California or New York. At least being in the U.K. does give influence, a country with the population of a small East-European nation doesn’t really have any. That’s not to say Scotland isn’t important, it is vital to the U.K and losing it would be like losing a brother or even like a body losing an arm. Everything from Dr Who to the British Olympics teams to the military, culture and our many inventions (estimated at 44% of all inventions ever) are all intertwined because unity brings strength. Much of the world is jealous of institutions like the BBC, NHS, Royal Mail and millions every year risk their lives to cross the world to enter the U.K. The United Kingdom is one of the very most stable, safe, prosperous and important nations in the world despite being quite tiny. We are the only land in the world not have been invaded for almost 1,000 years. Scotland together with England, Wales and (Northern) Ireland gave more to the world than perhaps any other, many good and a few bad but together as the United Kingdom. It would be a shame after all the adversaries we faced and on this the 100th anniversary of WW1 that the country we all know and love ends not from the many foreign threats we have faced through time but from a lying and disingenuous opportunist named Alex Salmond. Like all the best politicians, he is a great orator but he is selling a pack of lines. At his recent press conference on Thursday it fell into shambles with 2 or 3 journalists asking him to actually answer the question put to him, something he resolutely fails to do in Parliament and on television but this was the most blatant example I have seen any politician do on any subject. There have always been an element of anti-English in a small section of the Scottish population and a similar though usually smaller less viscous anti Scottish feeling in England… though obviously not enough to stop all those from Scotland living and working in England, particularly the London area. I’m not someone who doesn’t like Scotland, I love Scotland. Much of my family is Scottish, I love Scotland as much as I love England. I always support Scottish sports teams, I have even supported some above England on occasion. To me breaking up the Union makes absolutely no sense at all and I find it hard to believe that your almost genetically identical country folk south of the border are so bad that despite all the above, you have to leave us. You can be Scottish and British, with all the advantages it gives just as you can be Texan and American or a Queenslander and Australian. There are some good reasons for Scotland to be independent but there are countless more to remain in the U.K.. It is always easier to vote Yes and get carried along in the mood of romantic change and harder to stand out and say No, actually things are actually pretty good as they are. For those Scottish readers who disagree then that is fine. I’m truly happy if you are voting Yes for the right reasons (I haven’t heard any yet) but as someone who loves their country, warts and all, be it England, Scotland, Wales and Northern Ireland in one United Kingdom then I can only say Vote No, we’re Better Together. This entry was posted in history, News, Opinion, Politics and tagged #Indyref, Better Together, Culture, history, Independence, Life, Long reads, News, No Plan B, Politics, Scottish Referendum, United Kingdom, Vote No. Bookmark the permalink. To be honest I’ll be glad to see them go – the yes campaign seems to feel they are justified in cherry-picking just the benefits of Union (currency, EU membership, NHS, integrated transport) whilst ignoring their responsibilities (UK debt, underwriting banks). Scotland is a nett beneficiary so they’re going to get a shock when they realise they can no longer afford free prescriptions and university fees, which, of course, the rest of the UK do not enjoy. Particular cant: “we want to be nuclear free” then “England are scaremongering when they say they will move the nuclear submarine base to Portsmouth”. Good riddance. Yes and just becoming Independent doesn’t change much at all. Life is still going to be generally pants for most people who don’t have a great job or a good pension plan. I will be glad when it is over. I hope they stay but if they go then I wouldn’t do them any favours. hi, i agree with you. much ado about nothing, but i think it is the great scots ploy to pretend to vote yes , after all one can take the mickey with all these pollsters and lie to them; not to mention saying u will vote yes seem to bring a lot of criticism from the no camp; whilst firmly going to vote no, and if it panics the govt to give scots more bribes to stay,(as it seems to have done by the govt promising more home rule for scotland) all the better. Hiya, thanks for commenting. 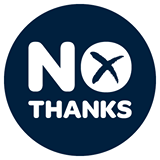 Yes it does seem that people who say they will vote no get lots of criticism and even abuse whilst those that want to vote yes don’t seem to get any in return. I think it is true that it is a good tactic to get more powers for Scotland and I have no problem with that… I’d be quite happy if there were more powers in England too to match those in Wales, Northern Ireland and Scotland. Hoping for best that your union remains. However, we have more than our share of idiots over here on this side of the pond. We call ours Republicans. That’s a funny comment. I don’t think Scottish nationalists would get on at all with Republicans, they are both at totally the other end of the scale. You are right. The Scots tend to be very liberal while the Tea Party is off the scale conservative. You might like my last few posts on the topic- but embedded in satire or an ongoing narrative. Will investigate more of your writing. Many thanks for your comment, I will check our your blog properly during the week. From what I saw, I liked it though, it hits a good but funny tone! Well written, Stephen, with passion and caring. As an American, I would like to say that I have loved my trips to both countries…Scotland and England. With the world in such a mess at this time, I believe your statement about being united gives strength is so true. To divide and separate may be just as much non-sense as it might be if Arizona or Texas sought independence from the U.S because they are unhappy with something. In difficult times, who will they turn to…Mexico? Or….Alaska…to Russia? Of course, Putin may decide anytime now that having some Russian descendant citizens in Alaska calls for his “protection”. We better stick together. We need each other for terrorism is brewing without and within.. Remember, in some people’s view…most of the people of Scotland and England…and the U.S. are ” the infidels.” Diversity in the free world has always been looked at as a strength. We open our doors to all which brings problems as well as safe-havens. As you mentioned, that is why people around the world seek us out. The World Wars were won because countries of like mind stood together. The tiny country has to depend on the more powerful to defend them. Hopefully the people of Scotland has given this some serious thought. There is so much to consider here and your knowledge of history makes reading your blogs a pleasure. It is hard to write opinion blogs because we’d rather keep everything nice and neat. My hat is off to you. Thank-you Nancy, I thought about writing this piece for over a year but as you say, it is hard to write something with strong opinions in it. I’m glad it came over well. There are probably no two nations more similar than England and Scotland and at a time when people come from all over the world to live here and mostly everyone gets on very well, it seems bizarre that anyone would want to break us apart. You’re right, whether it is a famine, earthquake, civil uprisings or outright war in the end almost the entire world comes to look to the UK and USA and a lesser extent France. It’s not the strong dictatorships or those with non-liberal beliefs and Scotland has played a much more important part in the world than its tiny population would otherwise have done. Should Scotland leave that will mean one of the 3 most helpful and reliable nations will be forever weakened and that could change the western world for decades or more to come. As you say, we all know that if there was a serious problem with Russia or anyone else would Scotland be able to defend itself or get assistance from others even in Europe? Of course not it would all fall on their neighbour who they disliked so much they voluntarily left the country. From what I can tell not just from history but as someone with almost a foot in both camps, there is next to zero difference between Scots and English, only the fact that the Romans never successfully went all the way up through Scotland. Genetically we are almost identical but the tiny number of Norman blood being totally irrelevant. I completely agree. Salmond has marred the word ‘freedom’ for me. I was born, brought up, and still live in my wee hometown seven miles north of the English border. 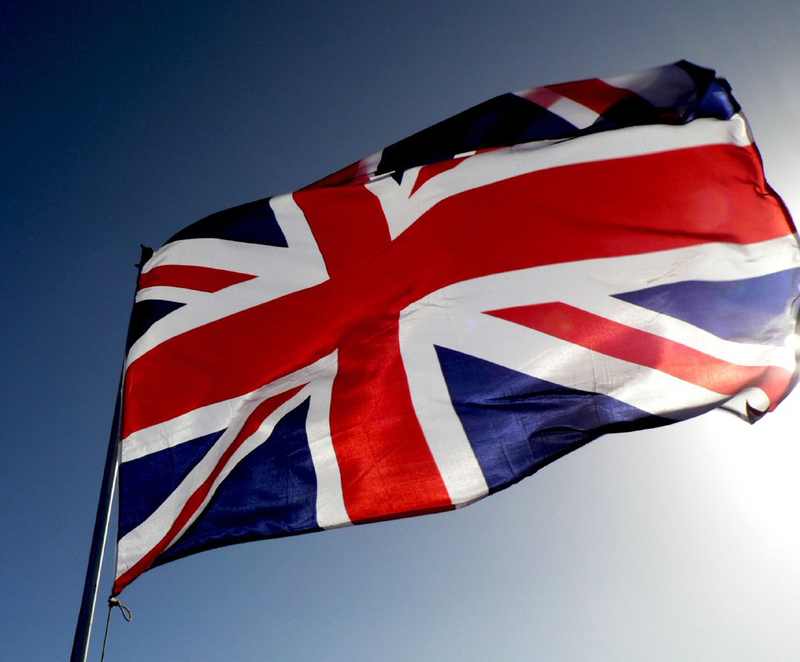 For me, my freedom would be taken from me if I was no longer able to trawl both sides of the border and be forced to relinquish my Britishness. I am so glad that you agree too. Salmond has really poisoned the atmosphere on both sides of the border. I hope that we are still in the same country come next weekend. How I can be suddenly become a foreigner from my Uncles and Aunties and cousins in one day? It is madness! Well written!! I couldn’t agree more! What, no bloodhsed? Quite like the way the professor puts it “if a region can leave a country voluntarily without a war then it is probably not the sort of country you’d want to leave anyway”. Yes, no bloodshed at all. I guess that could be the final and ultimate gift of polite, democratic Britishness, to vote your country out of existence! I think you’re right, that idea from the professor seems to be accurate with all the trouble-spots in the world. I agree, it is a good thing that they get more power if that is what they want. I would be 100% for a totally Federal arrangement in the U.K. with all 4 home nations having their own parliaments with the UK parliament merely to decide on the common issues of Defence and Trade etc. Nice piece, and good for you putting your thoughts together and out in public on a tough issue. As an American (only distantly Scottish, and English) I have no real stake in this and part of me is glad that I don’t have to make up my mind on something like this. I find it hard to believe that this is all coming about because of the opportunism of one person or even party. The best argument I can see from the economic side of things for Scottish independence is maybe it’s better to be poorer and more equal than part of a richer, more unequal country. Just across the North Sea are several of the world’s most democratic, and in a sense, wealthiest countries, and it’s maybe not too far fetched to say that Scotland has deep historical affinities there as well. I’m sure I get far too much of my history/news on the UK from the likes of Tony Judt and the London Review of Books, but surely it’s necessary to take the disaffection with New Labor, not to mention the Conservatives, very seriously. But that would still be a gut call. I think you win the argument pretty easily just on the strength of the practical nuisance of separation, but what’s the problem with separation in the abstract? Frankly I can’t think what you mean by saying that most countries are coming together. Maybe there’s something I’m forgetting, but my maps haven’t changed much since the USSR came apart. If you mean the EU (which the UK is always threatening to leave, or something) it looks to me like an example of how states can be sovereign and yet maintain the open borders and cooperation that everyone values. Thanks so much for your great and well thought out comment. I would totally agree that it is fine for Scotland to be independent and poorer if those voting for independence were aware that this would be the case. I only mentioned it as the Yes campaign does not acknowledge a single negative about being independent and they ignore all questions about it or shout down any experts with a different opinion to their own. Yes, lots of of SNP supporters did model a potential independent state on the likes of Iceland and Ireland and also some of the Scandinavian nations. They themselves though have stopped doing that since the financial melt-down in 2007. I do agree though that in different circumstances, this would be a possible way to go. I do agree about Labour and the Conservatives. Personally, I and many others believe the Labour Party voted for the wrong leader and for that reason it is unlikely I will vote for them next year. The Conservatives just have no idea for much of the UK more than 150 miles from London. It isn’t just Scotland that suffered in the 80’s from the Conservatives, much of Wales and northern England did too. Also it is partially due to the voting system that the Conservatives currently do so badly in Scotland but they do still get about 16% of the vote. Much of Scotland and England too are almost institutionalised with regards to what party local people vote for with Labour areas voting Labour though their areas have clearly been deprived for 30 or 50 years but with little change in their prosperity. I am sure though that most Conservatives don’t give much of the U.K any consideration at all and are at times even more economically liberal than the USA with the selling-off of national assets and allowing their home-grown industries to be bought out and closed down or the awarding of nationally important contracts to foreign organisations just to save a relatively small amount of money. What I meant regarding the last segment of comments is that generally, small nations are grouping together for safety and power and it is almost unheard of for a totally democratic state to vote itself out of existence. A prominent European banker even mentioned yesterday that the U.K. is in effect a role model of what the EU hopes to achieve but hasn’t yet in 50 years in that we have 4 nations, acting as one with every person or company being treated as equals and on their own merits. 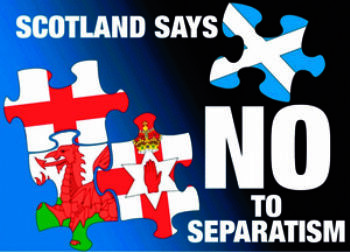 Scotland has complete access to the people and finances of a UK with over 10 times its population but is wanting to leave it and join a 350 million person organisation which in every way is less integrated and successful in being a single body than the UK is. I really enjoyed your comments and you’re certainly well read on the situation. Thanks again!